The boy king is back. Ancient Egypt's King Tut stirred a sensation in New York City 31 years ago. This time, a Times Square exhibition contains new information about the life and death of the 18th Dynasty ruler. A preview was held Wednesday at the Times Square exhibit, called "Tutankhamun and the Golden Age of the Pharoahs." 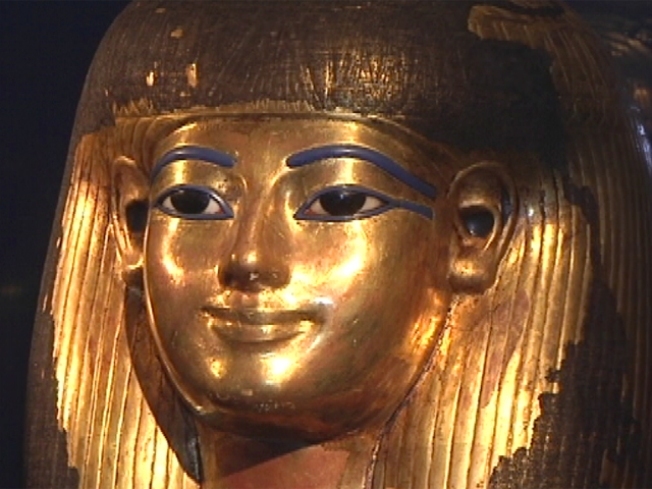 An Egyptian government antiquities official said a chariot found in Tut's tomb will be added within a month. Recent CAT scans and DNA tests revealed that Tut fractured a leg shortly before he died. Zahi Hawass (zah-HEE' hah-VAHS') said it's believed Tut had a chariot accident. The exhibit opens to the public on Friday. It's the last stop of a U.S. tour.